Our Spooky Science workshop filled up quickly, but that doesn’t mean you have to miss out on the fun! A number of our activities came from Steve Spangler Science! 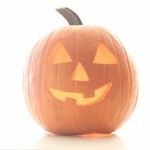 Check out Steve’s Halloween experiments at http://www.stevespanglerscience.com/category/halloween-science-toys.